Ask anyone who lives in the Montebello area about Legg Lake/Whittier Narrows recreation area and you are guaranteed a story. My father will share stories about fishing in the river, camping out, and run-ins with hobos that lived along the river. My comadre will tell you how her family used to live in a house on Durfee Avenue before it was turned into a park. My cousin will tell you how he would take his high-school girlfriend to the $10 all-you-can-ride carnival every summer. ﻿﻿If you ask my children they will tell you about the "old-timey play things" scattered throughout the park. The play things they are referring to are the six concrete sculptures created in 1960 by artist Benjamin Dominguez which have undergone a remodel this past year. 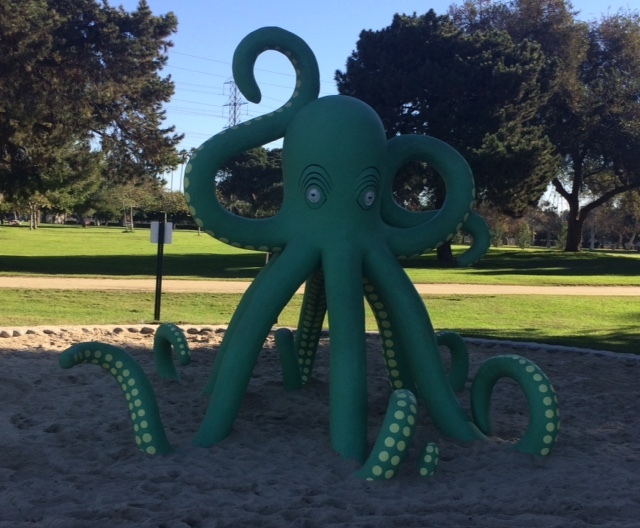 A few times a year we ride our bikes to the park, or we'll drive over and meander along the miles of walking paths that surround the lake, and visit the play areas & concrete sculptures. It's great fun for kids in strollers and teenagers will have fun too! The aquatic themed sculptures sport a bright coat of paint and all damage to the concrete inflicted by the hundreds of thousands of children who've played on the sculptures over the past 50+ years has been repaired. Legg Lake/Whittier Narrows Recreation area is open every day from dawn to dusk, and parking is typically free Monday-Friday. The park charges $6 to park on holidays, Saturday & Sunday. 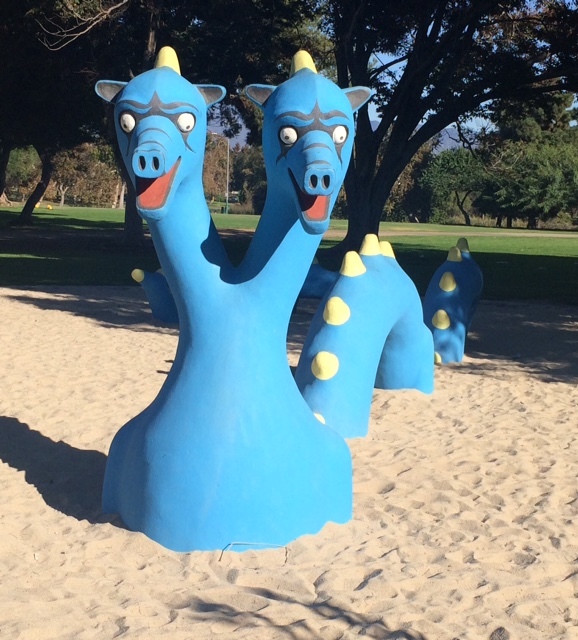 There are three parking lots where the walking trails & sculptures can be accessed, the lot along Durfee Avenue just west of Santa Anita Avenue, is a great starting point. On weekends the paddle boat & family bike rental shop is open, prices range from $12-35/hour. 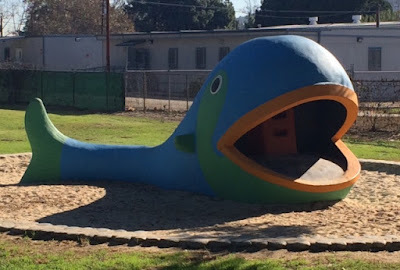 Climb up the ladder in the mouth & slide down the fish's back. Climb up the front legs and slide down the third. Climb up two of the legs and slide down any of the other three. The Starfish & Tripod are the only two sculptures that are adjacent to each other and can be found on the between the middle & northern most lake. Miles of walking paths surround the three lakes of the Whittier Narrows recreation area. The area is very picturesque with a variety of shade trees & water fowl surrounding the lakes. 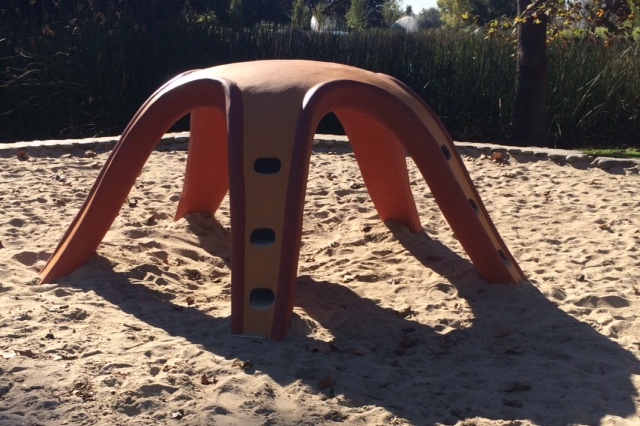 "NOTICE: Be aware that these play areas predate modern playground safety standards. 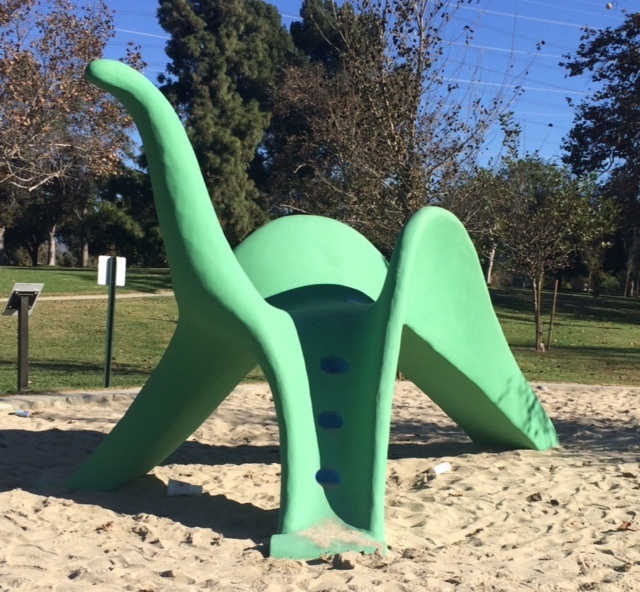 The design, height and placements of these concrete sculptures demand that parents and children exercise caution while playing. ADULT SUPERVISION IS REQUIRED."